Home | Fire Extinguisher Training Online / OSHA Compliance Certification / Meet Regulation 29 CFR 1910.157 / Lowest price online! Welcome to Fire Extinguisher Training Online, your source for OSHA Compliant employee Training and Certification! Satisfy OSHA's training and certification requirement OSHA Regulation 29 CFR 1910.157(g)(1) and (2) for your organization. Easy to use enrollment tool with learning management system for compliance record keeping. 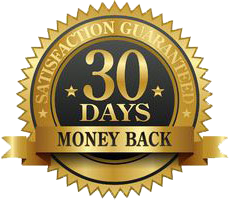 We offer the most affordable pricing anywhere online, with a 100% money back guarantee! OSHA Regulation 29 CFR 1910.157(g)(1) and (2) requires that, where an employer has provided portable fire extinguishers for employee use in the workplace, he/she shall also provide an educational training program to familiarize employees with the general principles of fire extinguisher use and the hazards involved with incipient stage fire fighting and training in the use of appropriate equipment. The education and training shall be provided upon initial employment and at least annually thereafter. Meet your OSHA requirements today with www.FireExtinguisherTrainingOnline.com!